After spending much of the summer traveling here, there, and everywhere, I finally reunited with my neglected kitchen this past week. It’s hard to believe that the last time we spent any sort of meaningful time together was back in June while baking The Astronomer’s birthday cake! 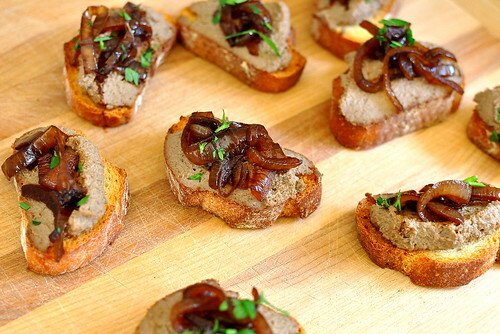 Three months away from the stove definitely effected my cooking instincts, but fortunately, these Crostini of Chicken Liver Pâté with Balsamic Onions went off without a hitch. I have Chef Anne Burrell to thank for that. 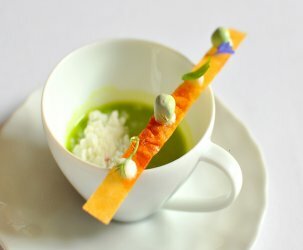 This recipe comes from her debut cookbook Cook Like a Rock Star. I received an advance copy a few weeks ago and flipped straight to the “Piccolini (a.k.a. my small nibbles)” section. 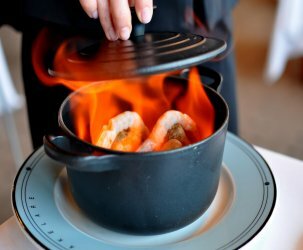 I am the type of eater that tires easily of a main course and instead prefers to graze on punchy little bites, so it was awesome to see an entire chapter devoted to my favorite types of dishes. Ever since my chicken liver pâté awakening at Pizzeria Mozza (recipe here), I’ve been borderline obsessed with the stuff. Chef Anne’s version is super smooth and packs a wallop thanks to the anchovies, capers, and garlic. The Astronomer wasn’t too keen on the pâté’s pronounced livery essence, but I didn’t mind the least bit. In fact, I think I’ve developed quite a taste for liver these days. 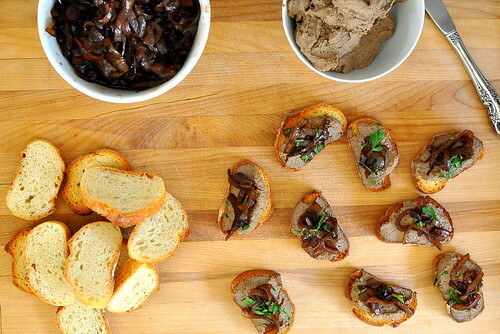 The balsamic onions offer a bright and tangy counterpoint to the assertive spread. 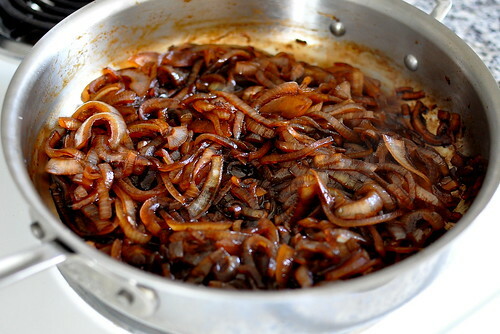 Coat a large saute pan with olive oil and add the onions. Season the onions with salt and bring the pan to a medium-high heat. Cover and sweat the onions for 15 to 20 minutes. Add the balsamic and cook for another 20 to 25 minutes or until the balsamic is syrupy. 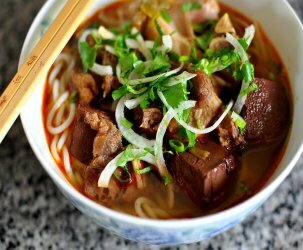 Use right away, or place in airtight jar and store in the refrigerator until ready to use. 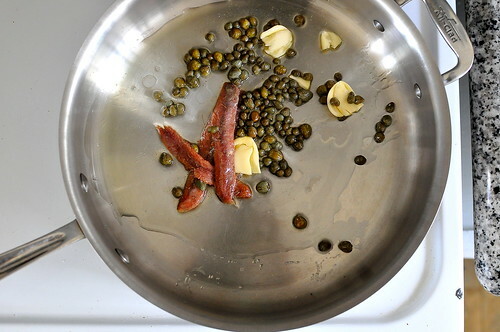 Coat a large saute pan with olive oil and add the anchovies, capers and garlic. Bring to medium heat and saute until the anchovies have dissolved. Schmear each toast with the pâté and top with balsamic onions. loving your liver love (vs. gizzards) as the years pass on, cc. 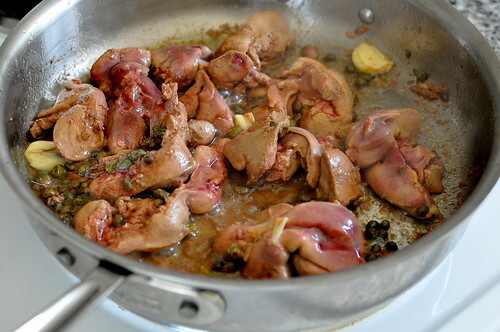 What a neat liver recipe! I look forward to giving it a try. I like the idea of salty capers and anchovies with sweet onions.